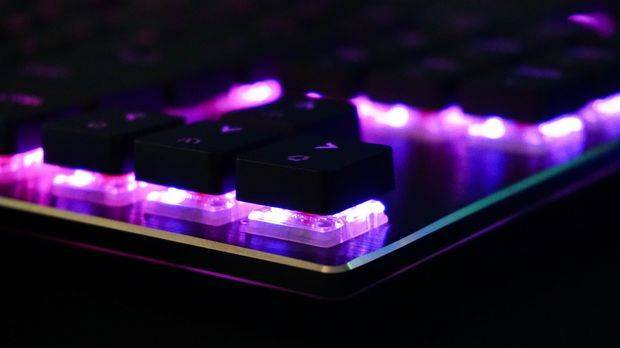 Cooler Master showed off three low-profile keyboards at CES 2019, each one sporting Cherry MX RGB Low-Profile Red switches and wireless capabilities. Between the three models, Cooler Master has multiple layouts covered. The SK621 is a 65%, the SK631 is a TKL, and the SK651 is the full-size option. Other than the different layouts, their feature sets are identical. You can keep them plugged in with the removable USB Type-C cable, but they offer Bluetooth 4.0, too. They support up to three simultaneous PC, Mac, and Android devices. With their RGB backlighting (and side light bars) ablaze, they promise 15 hours of battery life. With the lights off, you can expect them to last four-five months on a single charge. There are plenty of onboard controls for on-the-fly lighting adjustments and macro creation, and the caps are conveniently laden with sublegends that show you which keys do what. You can also use Cooler Master’s Portal Software Application to get more customization. You can toggle N-key and 6-key rollover. Although the dark silver-colored models are the ones pictured in all the materials distributed to the press, there are white versions on the offing that are clearly designed to (and surely will) appeal particularly to Mac users. We haven’t had the chance to crack these keyboards open and peek at their construction, but they seem solid. The top plate is brushed aluminum, and they feel sturdy when you type on them. The stabilizers are Costar-style. One of the main issues I’ve encountered with low profile keyboards is the keycaps. It’s an easy trap to fall into as a keyboard maker: You have these low-profile switches, which lets you create a low-profile chassis, so of course you’re going to put the thinnest keycaps on there as possible to ensure that the overall package is low, low, low. That means chiclet keycaps. That’s all great in theory, but chiclet caps tend to be too flimsy for even lowpro mechanical switches, in my opinion. You can feel the problem most prominently with the spacebar; it’s not a pleasing typing feel. Some lowpro keyboards out there use variations of half-height caps instead of chiclets, which solves the problem nicely. The downside of that solution, though, is that your svelte little keyboard gets thicker. And if you’re trying to capture the hearts and minds of the Mac keyboard-loving set, you lose that sleek look that chiclet caps provide. Cooler Master figured out a tweener solution that, upon first impression, is ideal: It kept the chiclet-style caps but simply make them thicker, and added a very (very) gentle scoop to them. I’ve never typed on caps like these before I put my fingertips on the SK series at CES, and it took me aback for just a moment, like walking in sneakers with a double-thick sole. But just as quickly, I could tell that the thicker caps offered a much better typing experience than some of the thin chiclet lowpro keyboards I’ve used. I need much more time with one of these keyboards before forming a complete opinion, but I’m optimistic that these thick chiclets will prove to be palatable. 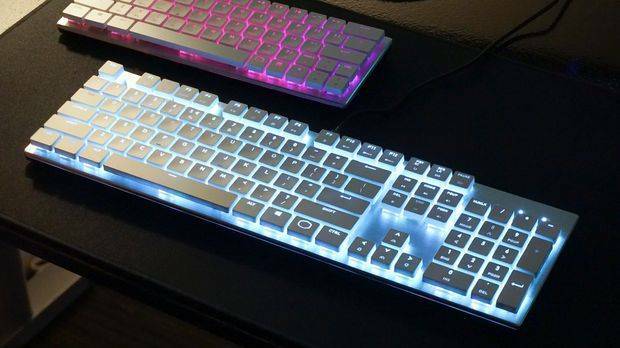 Cooler Master makes these keycaps, so they’re an exclusive option. 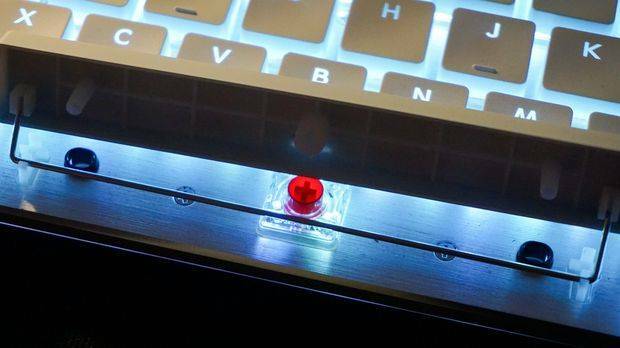 Because the switches are Cherry lowpro, though, you can drop aftermarket keycaps on the SK series keyboards. If you’ve been following the months-long progress of Cooler Master’s lowpro keyboards and are now scratching your head about these SKU numbers, you’re not alone. At Computex last summer, the company teased three different SKUs–the SK620, SK630, and SK650, all of which are wired. But at CES, Cooler Master was only showing the versions with a wireless option–the SK621, SK631, and SK651. As far as I can tell from sleuthing, the SK620 is canceled, and Cooler Master will produce only the wireless SK621 in the 65% layout. However, the SK630 (wired, TKL) and SK631 (wireless/wired, TKL), and the SK650 (wired, full size) and SK651 (wireless/wired, full size) will all eventually be produced and sold. The wireless models are coming, but their releases will be staggered. The SK621 is coming in March, the SK631 is coming sometime in Q2, and the SK651 will arrive in Q3. The reason for this sort of rollout escapes me. A twist: The SK630 and SK650 have been released, but they’re hard to locate, at least in North America and Europe. They’re not on Amazon or Newegg. You can find the SK630 on Dell’s website, of all places, as well as on Tiger Direct and a couple of other outlets like Next Warehouse. The same is true of the SK650. Neither SKU is actually on Cooler Master’s NA or EU product pages. It’s also not abundantly clear why there are both wired models and wired/wireless models, other than some price play. Judging by the posted and promised costs, the wired SK630 is $120 versus the SK631’s $140 price tag. The SK650 is $140, and the SK651 will be $160. In other words, you’re paying a $20 premium for the wireless capabilities. Given that the SK621 will cost $120 when it launches, a wired-only SK620 (which, again, appears to have been killed) would have been $100. We’ve reached out to Cooler Master for some clarity and will update if and when we get answers.